If you're handy enough to install the $1500 Z power steering kit, you're probably handy enough to save $1400 and make your own. Saturn Ion - from 2003 to 2006 - only in steering column with metal ECU case. 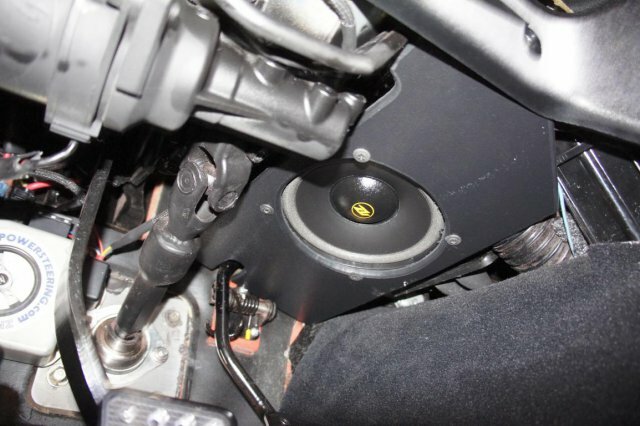 If you have an aftermarket ecm, megasquirt, etc with a vehicle speed sensor, you can even wire it in to adjust automatically to your settings at speed, if it will output variable resistance. Sorry, no pics. I have a million things to do to my Z before I worry about electric power steering. But there are plenty of other forums with write ups, and youtube videos demonstrating the concept. Would you happen to have any pictures? Very curious as to how these things are mounted/adapted. I pulled 2 saturn ones from the JY a year or more ago, but haven't gotten any firther than that. Its the adapters and welding that will take some time to figure out, plus the saturn motor is larger than the opel one I believe that is used inthe zpowersteering kit, so fitment looks like it may be an issue for me since I have vintage air AC installed, and there are some components that are closer to the steering shaft than stock. If someone figures out all the adapters to make it work, please post them up. Wow, I am definitely interested if anyone works on this before I cross this bridge! I think everyone is kind of waiting not to be the first. I think I will pickup the controller and a motor. I think I have a little easier access with only an intake manifold on the driver side. There are a number of posts about this already on HybridZ. I myself had it mounted on the engine side of the firewall and just fabbed up a new linkage. You get the controller of of eBay for the Saturn Vue motor, and attach a potentiometer to get variable assist. I got the idea from another member who did the same thing, and also sold a few setups so I know there are number of folks running it. Any pictures would be super helpful. Did you adapt from the steering linkage coupler? Or did you cut the shaft near the firewall and adapt to the column and then to the steering coupler? Have you guys gone autocrossing with this? I was told that you might not want to go this route in case it fails on something like autox. dangerous. I've been debating about this for a while. Gary Savage advised me to not go cheap and get the real deal. It's just electric assist, right? It would be the same as if you lost your power steering, you could still control the vehicle, it would just take more effort. Depends on the box and how it fails. If it uses a worm gear like this then i wont matter so much when you lose power or motor fails. But if it uses a differential gear setup like this you would be screwed if the motor decides to free spin. Some even use creative solutions like this belt drive. Interesting, I wouldn't have expected a differential gear style. I was going to say that it still has a connection with the shaft. It is a steering assist device, so when it fails you still get manual steering, with the device it just reads which way you want to turn and assists via the electric motor. If anything autocross is where I would want it to fail, most courses have cone workers away from failure routes, that would be compared to say failing at 70 on the freeway with a big left sweeper coming up. Ah yea that is correct. First glance at that design made it look like the fail would cause a complete loss. It's still the worst design of the bunch because if the motor seized, as can happen with overheating, then you lose control. How do the boxes with a worm gear work on no assist? 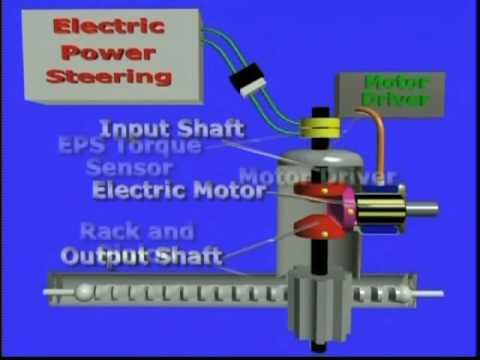 You can't drive the worm gear with the gear on the shaft, so free-wheeling the electric motor wouldn't work. I know it works as I've seen the videos, I'm just not sure of the mechanism that allows it. So you're saying the saturn VUE is the worst design for this? as in it will lock up when overheated? He was referring to the "differential" design. I've always been under the impression that the Vue setup uses the worm gear design. Perfect. I thought so after I googled for saturn vue power steering issues. Shows that when power steering went out, it just was hard to drive. My understanding which admittedly is quite weak. The saturn vue motor is like the worm gear drive setup posted, I think an S2k has the the differential gear type setup. For a worm gear it is connected to a shaft, the motor assist by sensing the input and supplying torque to the gear via a screw type mechanism (think like your thumb on a crescent wrench) powered by the motor. If the motor fails it just doesn't have power behind it, any brushed motor will still turn by hand most of the time just not generate power. The worst type of failure would be intermittent I imagine. Like starters can sometimes work when they are in certain orientations or when shocked by a hit. That would cause a jerky sensation to the steering. In theory if you felt the steering wheel fighting you all of a sudden you could just go disconnect the relay that powers it and just have uninterrupted manual steering. Right, but the standard gear on the actual steering shaft is going to have a really, really hard time moving the worm gear to free-wheel the motor. It's just like how a crescent wrench doesn't open up when you're tightening a nut. The mechanical advantage is so large that it's essentially locked in place. Hmm the cresent wrench is not a good example, Just hard to think of a system that people have seen open that takes advantage of this setup. Well in the cresent wrench example your steering effort would be more along the lines of a T or a wheel attached with the worm gear in line so to say. It wouldn't be the same force that is exerted on the jaws. If you follow that link the crank handle would be the motor and the steering wheel would actually be attached to the metal shaft. there would be some resistance if you tried to turn the worm drive via the gear, but you have to remember that if it isn't engaged it doesn't have much resistance. Depending on the reduction level it wouldn't even need to turn much at all. Given the size of the motor I would be surprised if it was a log of difference, probably a much closer ratio. Bad music but maybe more applicable. The wheel would be replaced with the steering wheel in this setup. Bottom line is that the worm gear is not the worst design at least from a failure perspective. A system where a failure would result in no steering at all would be a much more dangerous system. I installed the ZPower Steering unit in my '78 280Z. It took me about 4 hours to put in mainly because of the size of the electric motor that goes under the dash. The 280Z is a bit more crowded down there than 240s and 260s so maybe it'll be easier in those cars. The unit is also very heavy (i guesstimate around 20 lbs or so) and I had to fabricate a a steel tubular brace to help support the weight, somewhat like a hammock attached to two points of the metal structure under the dash. That being said, the result is effortless steering with the advantage of being able to adjust via the rheostat type knob exactly how much assist you want. I have a 78 also, could you take a picture of it under the dash? I put an aftermarket ac in mine and it encroaches into the drivers side some, so I am worried it will cause problems with the electric motor. This isn't the best pic but you can see I rotated the unit so the electric motor is off to the left (I placed an under dash speaker to the right). You can see the control box placed against the firewall. Space is very limited under there.